Are you thinking of traveling with family during the holidays? Are you confused regarding which place to visit during holidays? Well, if these questions are confusing you, then you must read our post! The holiday season is the best time to travel and bond with your family. You and partner get off from work and children get two weeks of holiday vacation. The best vacations are those that can let you spend some time with your loved ones in a beautiful part of the world. However, with so many areas to choose from, it can be tricky to decide which destination would be best for you. But fret not, as we’re here to aid you. Whether you’re looking for a quiet getaway or an adventurous vacation, here are ten favorite jaunts to spend Christmas with your family and make wonderful memories. Charleston is clearly one of the best places to visit with your family during Christmas. The place puts its spin on the holidays. It is in Charleston that instead of chestnuts, pecans are roasted, eggnogs are spiked with bourbon and choirs sing spirituals at the Drayton Hall plantation. To enjoy holiday dinner, you must check out the Peninsula Grill. The chef of the restaurant uses an excellent selection of sauces and glazes on his jumbo shrimp. This will give you a sinfully grilled steak and sauce. As for the accommodation, the Wentworth Mansion, dressed in the Victorian winery with an old world Santa and magnolia wreaths, would be the best pick. Every room of this hotel has its fireplace. Santa Barbara in California is a fun place to be with your family during Christmas. The coastal towns of Santa Barbara combine the old California elegance and New England style and comfort with the holiday kitsch. The 500-acre San Ysidro Ranch in Montecito is the best place to stay here. The rooms have stone hearths and beamed ceilings. The resort is just 20 minutes from the Rincon Beach, the excellent surfing beach. After all, you must fortify yourself and your children with fish and chips before hitting the Summerland Winery or Christmas Market. 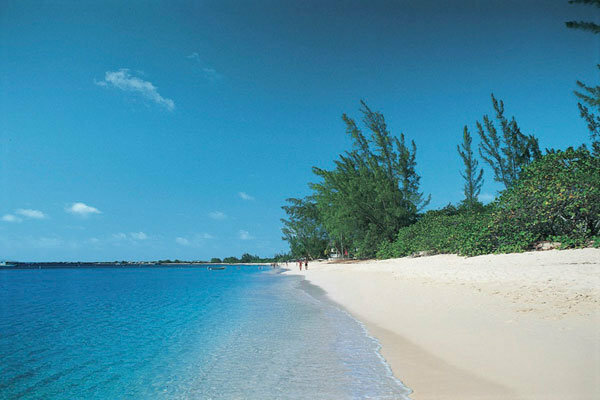 The Caribbean Island is another popular destination to hit with your child during the holiday season. The Christmas cruises and the Christmas beach vacation are two of the best trip options if you are looking to rewind and spend quality time with your children. The Virgin Islands are popular all year round, not just Christmas. But yes, it is at its best during Christmas. The best way to celebrate Christmas is by joining in the local celebrations. The festive light show at Stone Mountain Park is spectacular. There is a plethora of resorts on St John, St Croix that offer packages fit for couples, singles, and family. You just need a bit of research and planning to personalize your trip. From the Holidays at Universal Orlando Resort to the Mickey’s Very Merry Christmas Party, Orlando is the number one destination to be with children during Christmas. The Disney World of Orlando seems like a big celebration party at this time of the year. Here, sing along with your child with the Harlem Gospel Choir or dance with Mickey in the Jingle Jungle Parade. You can also observe the Christmas celebration and customs of different cultures of the world at the Epcot Center’s Holidays around the World. The other famous theme park here is Universal Orlando. We would suggest you to stay at onsite hotels like Disney’s Polynesian Village Resort or Disney’s All-Star Movies Resort to experience the best Christmas. 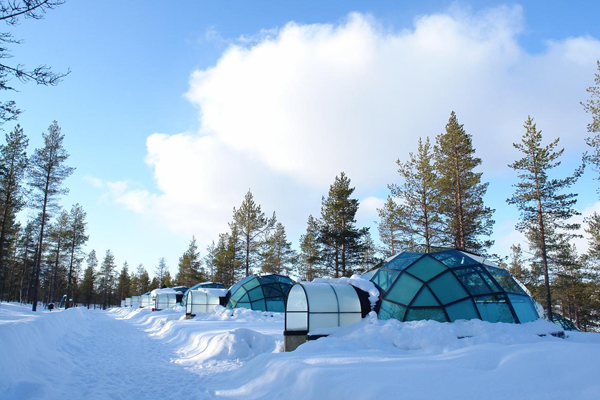 If you want to experience authentic, white Christmas with your family, then the Lapland in Finland is the best place to visit. This place is a Christmas wonderland for children. They can attend the Santa’s Control Center and Elf School to understand the working of their favorite Santa Claus. You can engage in a variety of activities with your child like snow hockey, snowmobiling and toboggan racing. The snowball range and Ice Gallery are other chilly alternatives. Try to stay here long enough to witness the breathtaking northern lights with your children. You can also try to visit Napapiiri, Santa’s actual base of operations. It draws thousands of visitors from all over Europe. The place has Santa themed tourist spots, Santa Park, and Santa Claus Village. If your reindeer is not in the mood, and you cannot make to the North Pole this year, then you can consider its alternative, the North Pole New York. The North Pole in New York is an amazing destination to visit with family. Yes, it is nowhere near the Arctic Circle, but you don’t worry, as your children won’t even miss that. They will be transported to the entirely new world altogether here. Children can visit the Santa’s workshop, check out the candy maker make a batch of sweets or watch the glassblower give a demo on how the Christmas ornaments are made. These activities will surely intrigue your child. If you want to spend a solemn Christmas with your family, then Rome would be your ideal place. Rome is a lot more subdued and sober than most of the countries in Europe. This is because Rome is home to the Vatican, one of the most religious places on earth. Tradition and faith are more important here. But it is the serenity and calmness that makes Rome stand out from other sites. The midnight mass in Parthenon is something that you should not miss. The weather is also very pleasant during this time of the year. So you can enjoy the attractions with your child without feeling dreary. Aspen is one of the most renowned ski resort areas and mountain town in Colorado. 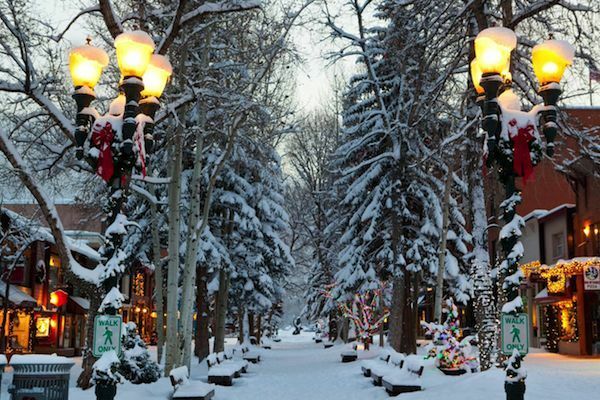 Aspen has a kind of rustic Colorado vibe to its Christmas celebration. There is a lot to Christmas in Aspen than sliding down the mountains. The resort town hosts a series of musical events for you to enjoy. The streets of Aspen are beautifully decorated for the season. The slopes are totally packed here from the late November. So ensure that you book your flight tickets and hotel in advance. You wouldn’t want to disappoint your child during Christmas for sure.10. When your city is dubbed as the City of Light, you can imagine how beautiful it can look during the Christmas. During Christmas, the white strings of lights in all shapes and sizes line the shopping streets and boulevards. The high-end stores of Paris put elaborate Christmas displays that attract people from all over the world. At night, the natives put on their ice skates to skate on rink beneath the glowing Eiffel Tower. The Christmassy atmosphere and vibe add to the romance of the city. And not to mention Disneyland Paris, one of the best Disneyland parks in the world. Bring your child to these incredible places and spend some great time together. And no matter what Christmas memories you wish to create, these vacation ideas will surely hit the mark. So which place are you thinking of visiting this Christmas?